Antarctica may not boast a thriving art culture or a hot spot music scene—or much of anything resembling normal civilization—but, surprisingly, its food culture is top notch. At Concordia Station, a research station on the largely desolate continent, chef Luca Ficara serves the 13-person research crew five-star cuisine. This 30-year-old Sicilian chef is not just there for food services; he's also one of the test subjects of the research. 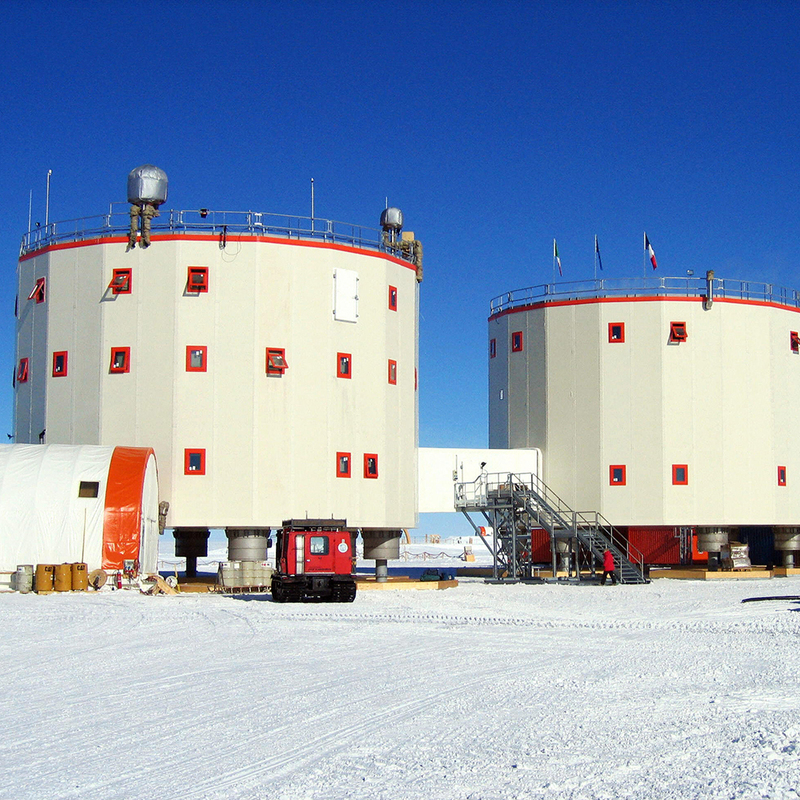 Concordia Station is a base used by the European Space Agency to test conditions for travel to Mars, because nowhere on Earth is closer to the conditions of space than the -30˚C to -60˚C (-22 to -76˚F) Antarctica. Given the crew’s isolation, Ficara's food comes as a welcome relief from their usual conditions. And for Ficara, being selected to work for this select group wasn't a chore but a huge privilege: As he put it, "It was like a lottery—you just buy a scratch card, and if you’re lucky, you’re going to win. You always dream about it, but you never think you will be the winner." Ficara's versatility makes him a perfect fit for the job. He prepares French meals for the French crew, pizza with the help of the Italian mission commander, and Yorkshire pudding on winter nights. In the colder months, the crew can't get shipments of fresh fruits and vegetables, but Ficara's an expert at working with what he has. You can follow the crew at Concordia's blog, Chronicles from Concordia.